Let me tell you right now that this IKEA in Italy is the best furniture store in the world for letting stray dogs sleep on their rugs. 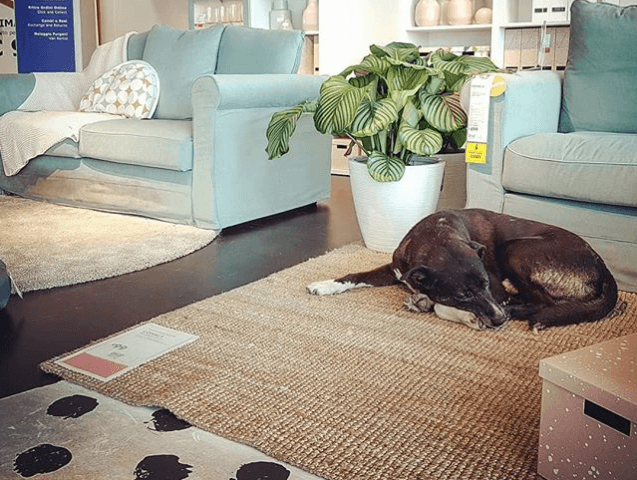 As Time reports (h/t The Dodo), an IKEA store in Catania, Italy lets homeless dogs stay warm inside while adding to their furniture displays. A woman who was shopping at the Swedish retailer noticed the dogs and sent the video to her mother. Naturally her mother, Vittoria Taccia Gabrielli, decided the best thing to do with the video is post it on Facebook. How can you not want to lay down next to the dog twitching while dreaming? Of course once news started to spread of the ultimate store display, local residents made a trip to IKEA and not just for the meatballs. Dove c’è Ikea c’è casa…. ? Time reports that employees from the IKEA store feed the dogs and some have found new families with customers. Here’s a pupper to complement your SÖDERHAMN sofa. Need to find a friend but don’t need new furniture? See all of the dogs and puppies for adoption at the Michigan Humane Society on our Adopt a Pet section.